A lovely Thanksgiving anthem incorporating the old hymn "Sing to the Lord of Harvest." This lyrical anthem would work well for a mission- or stewardship-themed service. "Be the light of Christ to the people of the world..."
An accessible Advent anthem incorporating an early American hymn tune and an original "Rejoice! Rejoice! Emmanuel shall come to us" chorus. A beautiful setting of this familiar creation hymn. Expressive piano writing, lyrical violin obbligato, and simple, sweeping soprano descant. A majestic setting of Psalm 96 incorporating the traditional hymn,"Sing Praise to God Who Reigns Above." A worshipful, contemporary lullaby with a moving chorus: "Emmanuel, the promise kept, it's the longing in my heart for God in flesh!" Beautiful text and rich harmonies. Set to the tune BEACH SPRING, this accessible Thanksgiving anthem has great text (written by Joseph Martin) and a marked early American sound brought out by the animated accompaniment. A moving, lyrical anthem with text from the hymn "Softly and Tenderly." Beautifully written. A quiet, elegant setting of the traditional English carol with an original "Alleluia" refrain. The instrumental accompaniment captures the essence of a snowy winter night. 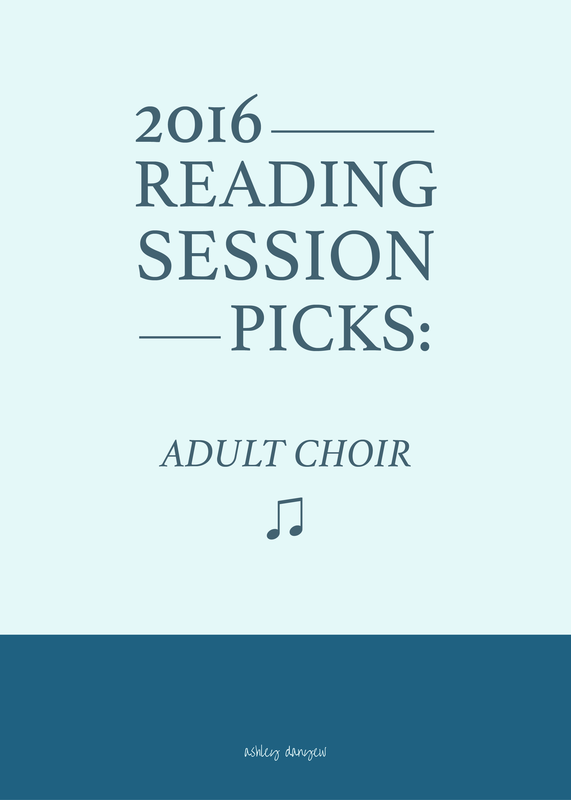 Check back on Wednesday for my reading session picks for youth choir!